Lucky Gems Stones, Tips Before wearing a gems stone, Types of Gems stones, Hindi names of Gems Stones, Hindi Names of Planets. Gems stones are powerful source of energy. If you wear a gems stone which is good for you then it will give you every thing which you want in life- name, fame, money, status etc. So don't underestimate a gems stone. If you are wearing a stone without consulting then be serious and check your life that are you facing any difficulty or you are growing. 1. Please ask your consultant that do you really need a gems stone. 2. Do not wear gems stones only to show. 3. Don't wear a stone just by reading a book. 4. It is good to wear stone after getting it charged for better result. 5. If your gems stone is damaged then replace it immediately. 6. If you are having problem after wearing any gems stone then consult your consultant. 7. It is not only necessary to wear precious stones always. For Every planet there is a particular gems stone. Gems stones are available in different weight. It is good to ask an experienced astrologer or gemologist about type and weight of gems stones before having it. How To Find a Lucky Stones? 1. 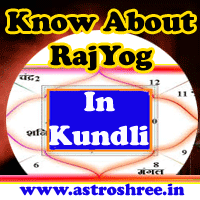 By studying kundli, horoscope or janm patrika. 3. By using Dowsing method etc. Do You Want to Consult a Professional for your lucky Gems Stone ?